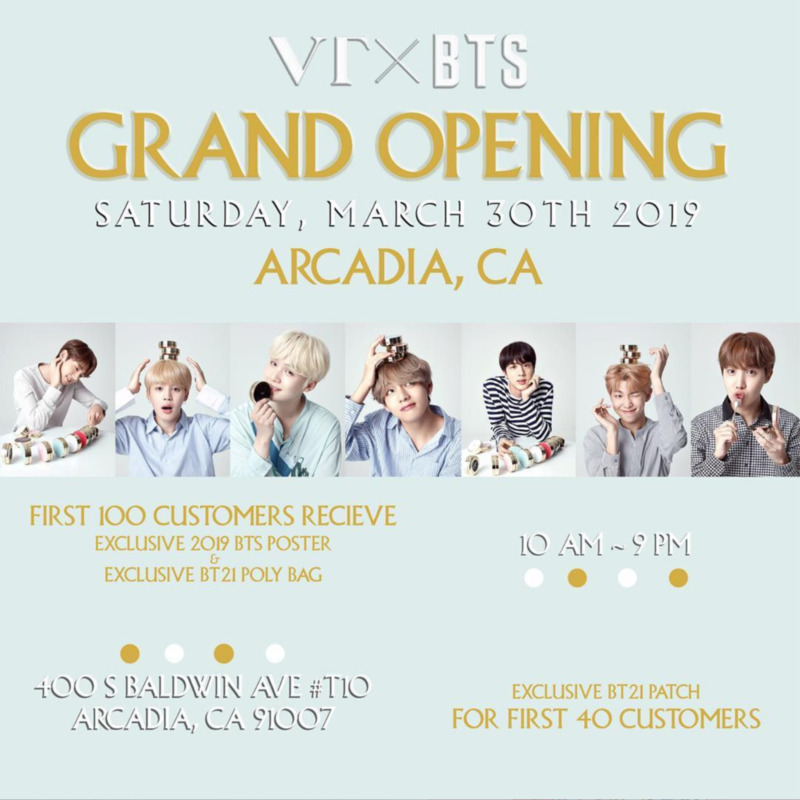 Starting from MARCH 30TH, 2019, there will be another VT Cosmetics in-store Pop-up opening in Arcadia, CA! Featuring the two major collaborations by VT x BTS and BT21 make-up lines, the store will also feature the season 2 VT x BT21 make up collection, Pop My Beauty! Be one of the first 100 customers to recieve an exclusive 2019 BTS Poster and BT21 POLY BAG! There will also be exclusive BT21 PATCHES for the first 40 customers!